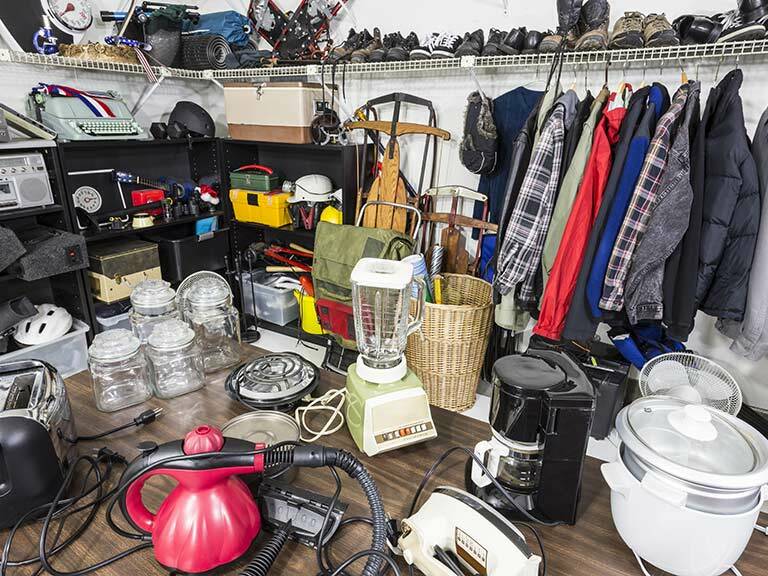 Search Cash for clutter: How can I sell my stuff online? Decided it's time you had a clear out? Why not turn your trash into someone else's treasure and get some money in the meantime. We show you how. Cash for clutter: How can I sell my stuff online? Can I sell my stuff online? Studies estimate you can generate hundreds of pounds in cash by clearing out and selling unwanted items. Throwing things away is becoming a thing of the past as recycling, vintage, retro and “upcycling” become popular. You can use the money to treat yourself or even to help with bills. A study claims that 60% of people who sell their belongings for cash go on to use the money for everyday spending like grocery shopping or petrol. So, if you’re thinking about downsizing your home, or simply having a good old spring clean or clear out, the question that first springs to mind is - what about all my stuff? If you have decades of clutter filling your home, why not have a thorough declutter, turn your trash into someone else's treasures and sell it online - for cash? According to figures from eBay.co.uk, the average home contains £4,000 of unwanted items, but just a fifth of people are canny enough to sell them. Here are our favourite ways to round up your rejects and sell them on various internet selling sites for a hefty profit, as well as offline if you'd rather take a more traditional route! Never underestimate the value of your unwanted items lying around the house. Every month, you can create up to 1,000 listings on eBay for free. Your final value fee is 10% of your total transaction cost (including postage) and if you opt to accept payment through PayPal, you will have additional fees. There are two ways to sell your stuff, either through an auction-style listing or at a fixed price with "Buy It Now"; with an auction-style listing you might find yourself surprised by how high people will go, but for a quick sale, you might be better off offering a fixed price. The next step is to decide the duration of your listing. You can list items for up to 10 days, or up to 30 days if you list them as "Buy It Now". To get an idea of how much you can expect to sell your item for and to find out how other sellers have sold similar items, check eBay's "Completed Items" search. Many sellers list their items for seven days, in order to include a weekend to capture weekend shoppers as Sunday evenings are the busiest for online shoppers. To maximise the number of potential bidders, your description of the goods you're selling needs to provide buyers with all the information they need on details like brand, age and condition. Make sure you include all postage and packaging cost in the listing – buyers want to know exactly what they will be paying for your item. It is worth buying a set of scales, so you can price packaging costs accurately. You can buy and print postage from the comfort of your own home or office with Royal Mail’s free and easy-to-use service - and it can even save money. Print on to labels or directly on to envelopes - all you need is a computer and a printer. Want to know how much it will cost to send a particular parcel? Use Royal Mail’s Price Finder. Local Facebook selling groups are fast taking over from eBay as the place to earn cash by selling unwanted stuff online – and the best part? It’s free. Thousands of groups have sprung up across the country - to find one in your local area, simply enter your location in the main search box, alongside words such as 'selling', 'sale' or 'buy'. Offering goods for sale is just as easy - all you need do is post directly on your group's page and upload a photograph. It’s worth putting a clear deadline in your ad, along the lines of ‘will offer to the next person down if collection time not agreed within 24 hours’. This might put off timewasters, as sadly some buyers simply fail to show up. If you've done a really big clear out and have lots to offload, MoneySavingExpert.com recommends listing as many goods as possible in one batch. Pick a day when you’re online without other commitments, so you can answer questions promptly and don't lose sales. This should also enable you to arrange one or two time slots for collections. Remember, groups are public, so give a general location, but not your phone number or full address at this stage. Those who love to make crafts but have run out of places to display their handiwork should check out Etsy.com. Here you can sell handmade items online, but you are not just limited to selling crafts; you can sell artwork and prints, craft supplies and vintage items through the site. With over 25 million active buyers, there are more than enough customers to go around. It costs 20 cents to list an item for four months and when your item sells, you are charged 5% transaction fee on the sales price, including shipping. Fees are paid monthly using either PayPal or the debit card or credit card on file. A fee must be paid to re-list items. This is the UK's biggest website for local community classifieds. It's free to post goods for sale on the site and, with over 16.4 million unique visitors a month, this site covers tons of cities across the country from Brighton to Belfast to Birmingham, and beyond. Posting an ad on Gumtree is quick and easy. Simply visit the site home page and click on the "post an ad" button, then choose the most relevant category for the stuff you're selling and enter the details. Never provide your personal or banking information to others over the Internet. Whether buying or selling, if you arrange to meet in-person to see the item and exchange money, for personal ease and safety, always ensure you take someone with you. For more information on ISAs as an alternative saving option, please click here. Recycling for profit is a quick and simple way to save old items from landfill and earn a few pounds at the same time. Cash-for-clutter site musicmagpie.co.uk is where CDs, DVDs and video games can be traded in – as long as you have a minimum of 10 items. Prices can range from 10p for a CD up to the hundreds for some of the more desirable electronic items. The good thing about this site is that once you have registered your items, they will send a courier to collect it from you. Amazon Marketplace allows you to sell second-hand and new versions of an item already sold on its main site. You can also make money from your old mobile phones. When you upgrade, don’t just stick your old handset in a drawer. MoneySavingExpert.com has tips if you're thinking of recycling your mobile and a rundown of the phone recycling companies. Car boot sales run all over the country at the weekends and are a perfect way to sell those odds and sods lingering in your loft. Everything will sell if it's cheap enough, so be prepared to drop your prices. Hot sellers include clothes, DVDs, books, toys, electrical, mobile phones, jewellery, bric-a-brac – even slightly used cosmetics. Find a boot sale in your local area with CarBootJunction.com. Charity shops are often a good place for your cast offs, but what are your options for items such as old bras and out-of-date prescription glasses? You may be surprised, but bras in a reasonable condition can be donated to various charities. For those who live near a Bravissimo store, they support the Refuge charity by placing bra recycling bins in all their stores. For every kilo of bras collected, they will donate to Refuge. The bras that are donated are all then recycled for good use. Those which are in a useable condition go directly to developing countries across the world. Those bras which cannot be used in their entirety are broken down into parts which are again recycled into new items. For a list of stores in your local area, visit bravissimo. Smalls for All, a charity that aims to help women and children in Africa meet their hygiene needs, accept gently worn bras. To find out more information, visit SmallsforAll. Against Breast Cancer also collects unwanted bras so they can be given a new lease of life in developing countries where bras remain too expensive to produce locally. What’s more, for every tonne of bras collected, Against Breast Cancer receives £700 to go towards its vital research. For details on how to donate, visit againstbreastcancer.org.uk. Did you know that six in ten people in the developing world are vision impaired, but have little or no access to spectacles? Luckily, you can help, by donating your old glasses to Vision Aid Overseas. Find your nearest drop off point at VisionAidOverseas – they include many major optician branches such as Specsavers and Vision Express. The money-spinner that is your big declutter doesn’t end once you have made some money and cleared some space – the space can earn you cash too. Storemates allows members to register any spare space they have to rent out to those who need storage – but don’t want to pay storage firms that can be pricey. This idea would work best in a city where space is a premium. It's free to register, search and list, but charges a fee of 15% from the monthly transaction if you find a successful match. You can charge what you like, but Storemates recommends charging roughly 50% of commercial prices. If your garage is now clear, you could instead park your own car in it, and rent out your driveway - if you live in an area where parking is expensive. Try parkonmydrive, parklet, or justpark. You can rent by the day or longer-term. When does eBay become a business? Are my old coins worth money? 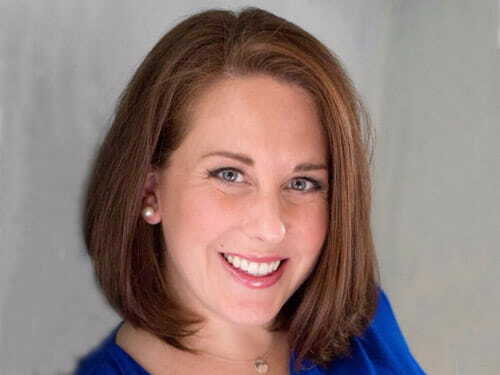 Kara Gammell is an award-winning personal finance and consumer journalist.